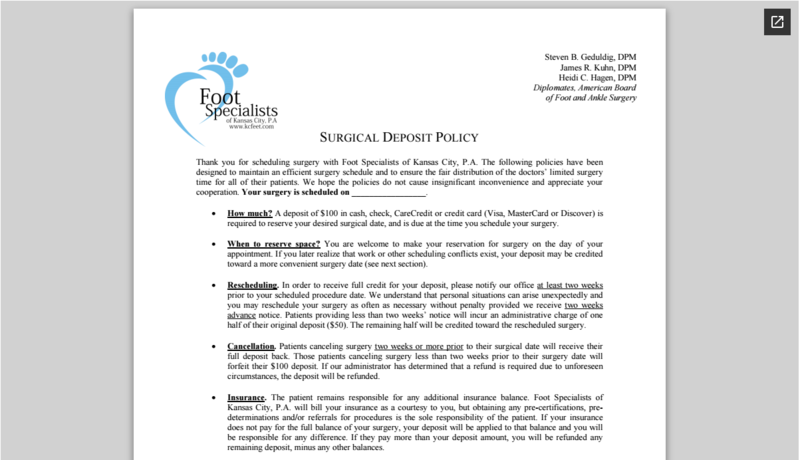 If you plan to schedule surgery, we require the following form to be signed and a deposit of $100 to reserve your surgery date. This will be applied to any balances or refunded after insurance processes your claim. If it is estimated that you will owe more than $100 for your surgery, the difference may be due up to 1 week before your surgery. Please review the following form and let us know if you have any questions.